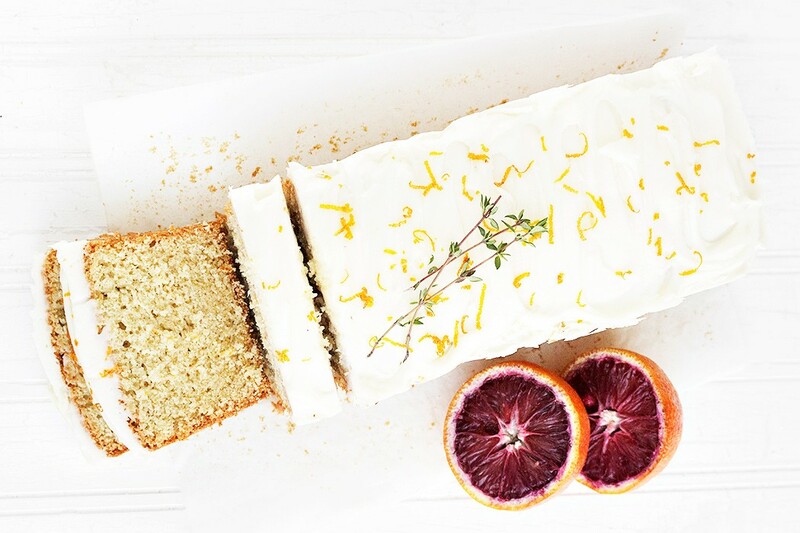 An orange lovers cake, this Whole Orange Tea Cake starts with a whole orange – peel and all! The cake is perfectly balanced with just enough orange flavour, balanced with light sweetness. 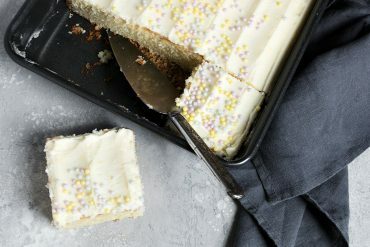 Topped with an generous layer of cream cheese icing and it’s a perfect slice. Would be lovely on an Easter brunch table! I’ve admitted before to my fondness for stalking foreign baking forums. 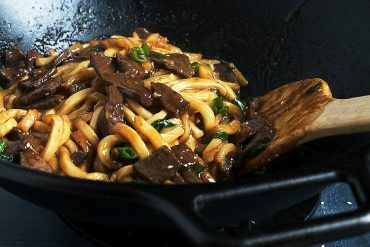 It’s like a peek in to different cultures through their food. 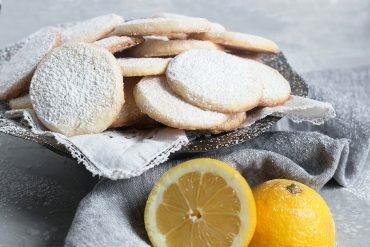 I especially love Italian and Polish forums, both of whom are great bakers and love to share recipes. This orange cake recipe caught my eye on an Italian baking forum and since citrus is one of the few fruits that are great this time of year, I had to try it. I started with a blood orange and I have to confess, I fully expected to cut in to this cake and find it pink. The batter certainly was pretty pink-ish when it went in to the pan. Surprise. Not pink (but definitely delicious!). 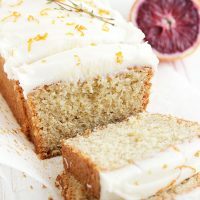 Anyway, this cake starts with cutting up a whole orange, peel and all and whizzing it up in a blender or food processor. This gets mixed with egg yolks and sugar, then flour. Finally, the egg whites are beaten to stiff peaks and folded in to the batter. Despite the addition of beaten egg whites, this is quite a sturdy cake once baked. Perfect for slicing. I topped my cake off with a cream cheese frosting, which wasn’t part of the original recipe, but since I happened to have some cream cheese on hand, I couldn’t resist. The original used a warm glaze of icing sugar melted with orange juice, then poured over the cake at serving, which would be nice as well, I’m sure. As this was an Italian recipe, the ingredients were in grams. I’ve provided cup conversions, but if you have a scale, use the gram measurements for best accuracy. The original recipe didn’t specify anything for the size/shape of pan to bake this cake in. I went with my long, narrow loaf pan (it’s 4×12″) and it took about 50 minutes to cook. The original recipe specified 40 minutes, so I’m assuming now, they baked in a regular loaf pan. A 9×5″ loaf pan should work. In any event, the batter should fill the pan just a bit over half. So obviously, note that the cooking time will vary greatly, depending on your baking pan size and shape. Watch closely and test with a cake tester regularly. The tester should come out clean. 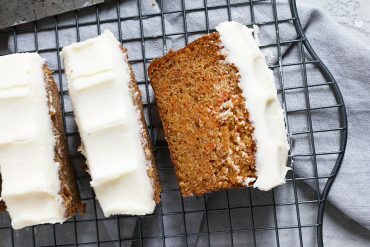 You can bake this cake in a loaf pan (9x5-inch) or similar, or you could bake in as a single-layer cake in a 9 or 10-inch cake pan or springform pan. 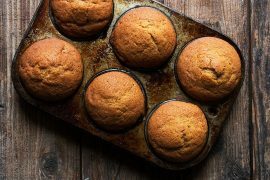 Would also be nice as individual cakes, baked in a mini-loaf pan or muffin tin. In all cases, the batter should fill the pan by just over half - no more, no less. Preheat oven to 300°F. Prepare your baking pan by spraying with cooking spray and lining with parchment (for easy removal). Wash orange well and cut into chunks (including peel). Place orange in blender or food processor and blend until creamy. Add the egg yolks, sugar, vegetable oil and vanilla. Continue blending for a few minutes. Pour orange mixture into a large bowl and slowly incorporate the flour/baking powder mixture. In another bowl of the bowl of a stand mixer, beat egg whites with a pinch of salt until stiff peaks. 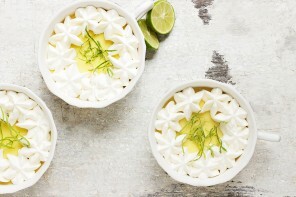 Gently incorporate beaten egg whites with the batter. (*Note that the batter is fairly stiff, so folding in the egg whites is a bit tricky. This is the strategy I used ... if your bowl is a clock, with a spatula, slice down the centre from 12 o'clock to 6 o'clock, then turning the spatula blade at an angle, scrape underneath towards 7 o'clock, lifting the batter up and over the top. Rotate bowl "one hour" and repeat until all the egg white has been incorporated. Pour batter in to prepared pan. Bake at 300° F for 40-55 minutes or until a tester comes out clean. 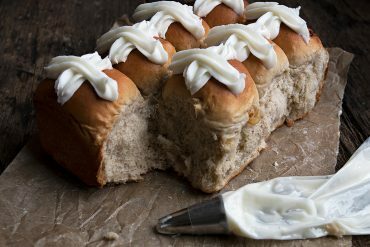 For the icing: Combine all the ingredients and mix until smooth, adding more icing sugar as necessary for a smooth, spreading consistency. Garnish with orange zest and sprigs of thyme, if desired. Love this cake. I made it today for my dad birthday and everyone was in love! I added about 1/4 of an orange more to the mix and for the icing I followed your recipe and added about 3/4 tsp orange juice and zest from half an orange and it was lovely! 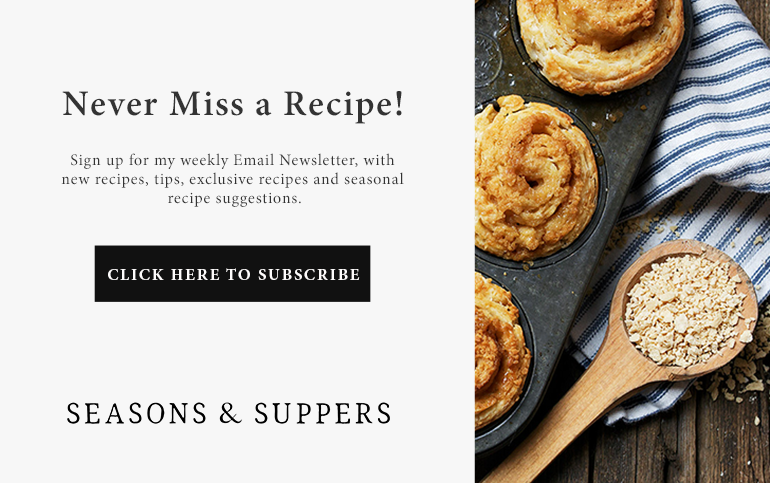 My husband and I love this recipe! 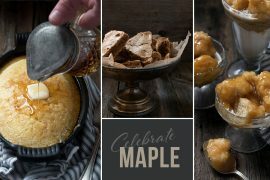 It is definitely one of our go-to desserts for parties, etc. We tried the recipe with a grapefruit as well and it was just as delicious! So glad you are enjoying it Jillian :) I must try it with grapefruit! Oh I love when we get to use the WHOLE piece of fruit (or vegetable) in recipe. I have a whole orange cake that I make and it’s just fantastic. Definitely surprised that this isn’t pink. I would have thought for sure. Still gorgeous, none the less! Thanks Liz. 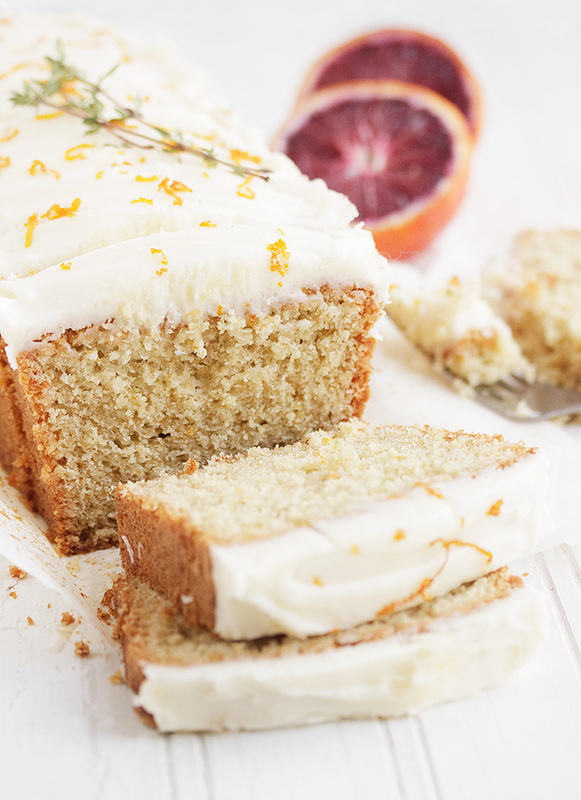 There’s no doubt the whole orange gave this cake some great flavour. I loved it! What a scrumptious cake, I love that nice layer of cream cheese frosting! Apparently I need to check out foreign baking forums too! So much to learn. When I was living in Sicily I used to spend hours watching Italian cooking shows – so a forum is the perfect substitute! Also, this tea cake is so delicious looking. I really love the flavour! Thanks Katrina and you should! It can be challenging relying on Google translate and often they leave out things that I assume everyone (except me ;) knows, but I love a challenge! Absolutely stunning, and I love how much frosting you loaded on, I want to grab a slice right off my screen. Blood orange is funny to bake with, the color always comes out differently. The flavor is so mellow and unique, I wish they were around all year long! What a stunning teacake, Jennifer! Blood oranges are simply stunning to me, and I love the fact that it’s a foreign recipe! It’s like a foreign movie where you feel more cultured just by being in its presence… right? Thanks Sarah and yes, so true! This is beautiful – and I’m surprised too that the middle wasn’t pink. 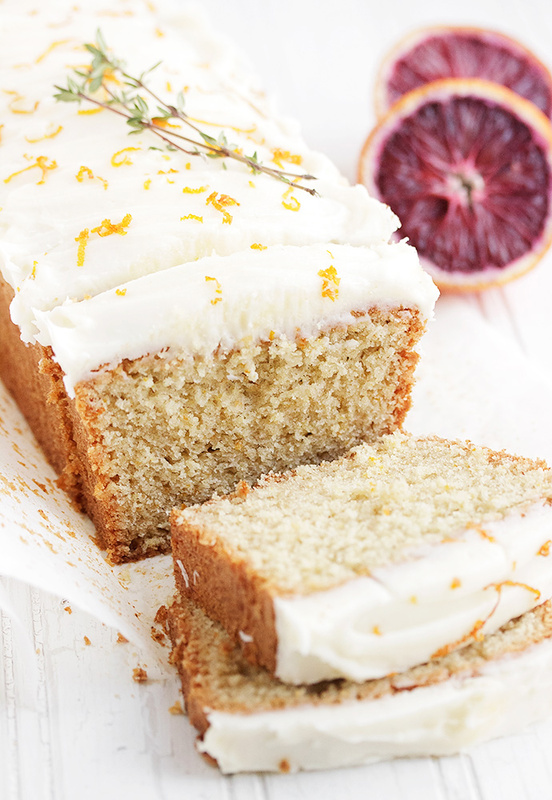 So interesting that you include the entire blood orange, I bet that gave this cake amazing flavor! Thanks Jessica. And yes, I’m not sure where the pink went :) I loved this cake. It had such a great orange flavour. This is such a stunning cake! It would look absolutely gorgeous on my table for brunch, but I doubt it would last long enough for everyone to really appreciate it’s beauty. Too delish! Thanks Meghan. It really is a delicious cake!